Flexibility, mobility and simplicity is demand of the businesses. Office 365 and Sharepoint are excellent tools in the area of content management and collaboration. Sharepoint has however grown into a more complex product over time and doesn’t real fit the mobility aspect which is the need of the hour. But there are a host of other features which make office 365 suite a great product for businesses! Delve- It is an employee profile and content discovery tool. Delve curates the business content so that it is available at the right time. Power BI- is a business analytics tool which provides interactive charts, reports for visual understanding. It improves business intelligence by analyzing data from various sources. 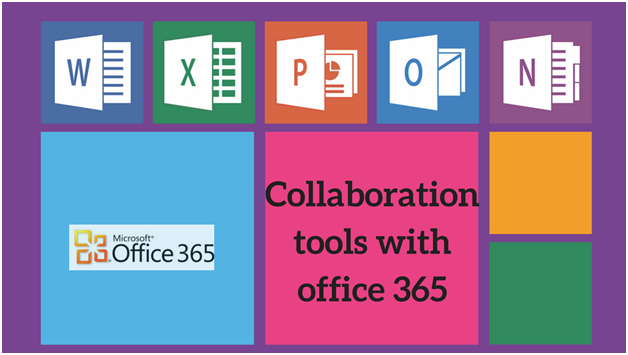 Office Online- It is the office suite we have been using for years but with enhanced collaboration online. Teams can collaborate simultaneously for better productivity. PowerApps- using this tool you can create infinite variety of custom apps without learning to code. Organizations data can be managed in department specific custom flow apps. Flow- Flow is a service to automate workflow across growing number of apps and SaaS the business run on. OneDrive- Integrating all the services on one platform which is the cloud, the backbone of all the other tools. You can update and share your files from any device with OneDrive for Business. You can also work on Office documents with others at the same time. It provides the much-needed ability to control your documents and content and share internally and externally at the same time with the right set of permissions. Video- Its video sharing platform for businesses. Although it will take sometime for Video to be more mainstream. Calendar- Managing busy schedules is very important and Outlook Web App allows to create and track appointments and meetings. Planner- Planner helps manage day to day task, assign them and track progress. It improves team productivity. Everyone on the team can be notified of the progress at one place. Exchange- Exchange provides an e-mail experience on all the devices with sharing settings which help keep sensitive data secured. Skype for business- Skype for business provides a great video collaboration tool for teams spread across the world. Teams- Teams brings the teams, conversations together at one place along with other offerings which are needed. Yammer- it provides a simple way to collaborate within teams. It integrates office 365 groups, Delve and seamless office suite. Groups- Office 365 comes with a cloud collaboration feature called groups which helps in sharing information within groups and teams. One of the advantage of using the suite products is that you don’t have to remember tens of passwords and account information.